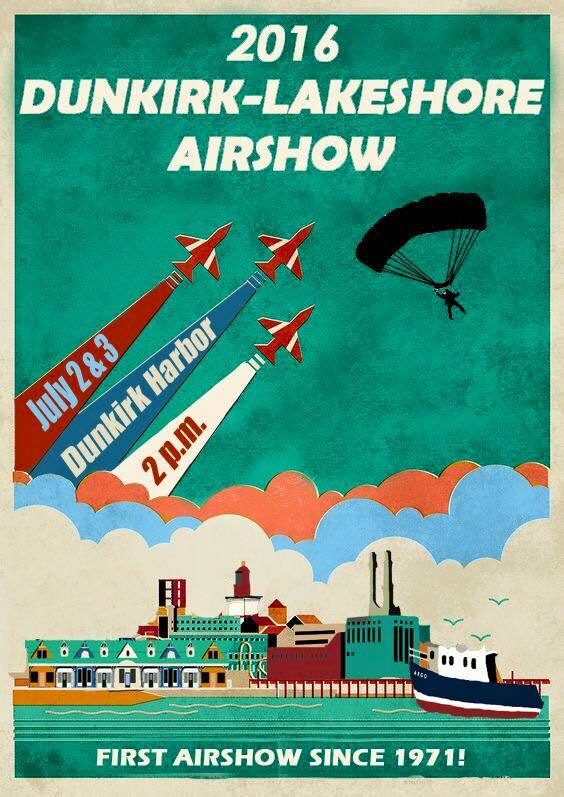 Parking available at SUNY Fredonia and Chautauqua Co Fairgrounds (rear lot) with free bus shuttles to and from Dunkirk Waterfront for the Air Show Event both days (July 2 & 3) from noon to 8pm!!! Handicap and Disabled Veteran's Parking will be available at the lot between the Clarion Hotel and Tim Hortons on Route 5. Opening ceremonies at 1pm. Air Show begins at 2pm sharp!...Please share this with friends!